FARMINGTON - The impact of service as a Peace Corps Volunteer upon career choice and personal life, will be the focus of a presentation by Doug Dunlap, University of Maine at Farmington retired professor, on Monday April 1, 2019. The program will be held from 6-7:30 p.m., at the Fusion Center,117 South Street, on the UMF Campus. The event is co-sponsored by the UMF Center for Global Education and the UMF Career Center. The event is free and open to the public. First established in 1961, the Peace Corps was signed into legislation by President Kennedy as a permanent program that would promote world peace and friendship through help and mutual understanding. Dunlap served in the Pacific Islands of Micronesia in the 1960s. He taught English as a second language in a remote island school and engaged in community development projects related to public health, economic development, adult education and youth recreation. In the process he gained fluency in the Kosraen language—spoken by only 4000 people in the world at that time—and helped to write a textbook on Kosrae Island history. Following that experience, he joined the Rough Rock Navajo Demonstration School on the Navajo Reservation in Arizona, an innovative K-8 project developed by Navajo educational leaders. Over a five-year period, he worked with Navajo colleagues to design a culturally appropriate counseling and special education program, consulted on the development of a new Rough Rock High School, and taught on-Reservation teacher-training courses for Arizona State University and the University of New Mexico. He also developed a research project to identify children with special needs and educate parents and community leaders about the learning potential of these children. Before coming to UMF in 1981 as a faculty member in the Rehabilitation Services program, he served as a school psychologist in Aroostook County and a Family Counselor in Hancock County. At UMF he promoted cultural learning opportunities for students, leading mobile courses to Quebec, New Brunswick, Finland and Russia; taught courses on multiculturalism; and led efforts to help nontraditional students from Franklin County gain access to higher education. 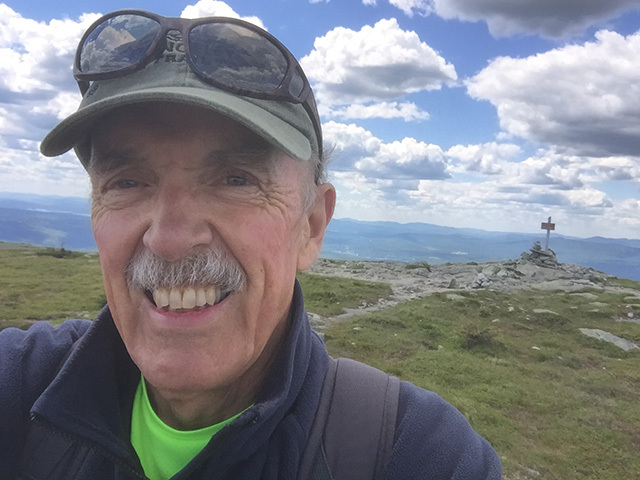 A long-distance hiker and canoeist, and author of outdoor books about Maine, he is also a Registered Maine Guide. What a great opportunity for franklin county. As a currently serving Peace Corps Volunteer, serving in Ukraine, I can certainly attest that it's a fantastic experience-- at any stage of life!